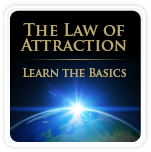 In the video below, Abraham-Hicks are coaching on Law of Attraction for weight loss. This coaching session is about a woman who really wants to lose weight, but she has discovered that the harder she tries the worse it gets. Don’t forget to read the summary below. Summary: Abraham-Hicks on the Law of Attraction for Weight Loss, by SpiritualCoach.com. In this example, you will follow a woman who can’t lose weight even though she has tried everything; all kinds of diets and workouts without any result. Instead, all her efforts have made her gain weight. Abraham-Hicks start the coaching session by letting the woman talk about all the action that she has taken in order to lose weight. 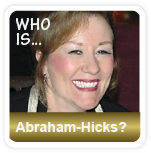 As the woman lists the actions, Abraham-Hicks want her to pay attention to her feelings while expressing these actions. When the woman says: “I have done every diet, I have taken diet pills, I have red every book on diet, I have worked out ” etc. – she realizes that she feels resistance and in fact “moving up-stream”. Abraham-Hicks explain that as long as she feels resistance and moves through her Guidance System “up-stream”, she won’t get any positive results. When she is trying hard, she is pointing “up-stream”. It will not matter whatever action she takes, the result will never be positive if she is moving “up-stream”. Law of Attraction for weight loss is about moving down-stream; about releasing resistance. There is a positive side, though. Because of all that struggle and strong desire, there is now a clear realization of what she is wanting. If you are in the same situation and really want something that you are not letting yourself have, you can really feel it. The longer you struggle, the stronger your desire will be. That feeling of really wanting something is like a strong river of desire that flows and when you let go of the resistance, the Universe will answer right away. As soon as you let go of your resistance, you will see the manifestation and start losing weight. The energy balance in your body is the key to whether you have a healthy body weight or not. It doesn’t matter how much you do if you are vibrationally pointing upstream. The resistance within you is why your metabolism is slow. It doesn’t matter whatever action you take, you will not lose weight as long as you have resistance and move “up-stream”. Abraham-Hicks are taking the discussion of energy balance further by explaining that the reason for people getting sick is because of their resistance; because they are vibrationally pointing up-stream. “Stress effect” relative to illness, is something that even doctors today are recognizing. Listen to the word: “Disease” and break it down to “dis” (up-stream) “ease” (down-stream). When you really want something and have a strong desire, your job is to learn how to let go of your resistance. You must find a way to relax and soften your resistance. When you start playing the game of thinking of things that make you feel happy, the resistance will soften. You feel a little better and your energy will improve. When your energy improves you will get inspired into new action that will make you feel even better. You will feel motivated from the inside, and this is what inspiration is. You will get inspired to do things that will result in natural weight loss. This is how you start a positive cycle. When you are moving through your Guidance System “down-stream” and are pointing “down-stream”, your metabolism will kick up and you will start losing weight naturally. Law of Attraction for weight loss is about relaxing and soften your resistance. You have to leave everybody else out of the equation. It doesn’t matter how somebody else look, or how much somebody else can eat, or how much results they get from a diet or workout etc. You have to come into alignment and be your friend. You must start doing things that make you feel better. Going “down-stream” is enough. Going “down-stream” is all you can do, and it’s enough. You have to make peace with “all that you can do”. Then you will feel better and better, and the results will show. When you let go of the resistance, you will soon discover that you don’t have to do so much differently in order to lose weight. It is all the things that you have done differently, all the action that you have been taking, that has caused you to be in a different vibrational stance. This different vibrational stance is causing your response to food to be different than it has been before. When you relax and get balanced, your inspiration will guide you to whatever action you need to take. Your energy will change and people will send recipes to you, you will get new ideas, new products will come to you, you will want to move more etc. You will choose healthier food habits without even thinking about it, because you will instinctively listen to your body. You will start losing weight and reach a healthy body weight without any effort. The results that you will get, is because of your energy alignment. It is easy to get what you want when you go “down-stream”. Law of Attraction for weight loss is about following your inspiration.